24 7 sewer service NJ – Call for The Best Price! 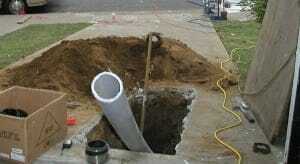 If your New Jersey sewer line is cracked, broken, or obstructed, you’ll need sewer repair in NJ as soon as possible. Many homeowners feel apprehensive about sewer repair services in New Jersey, especially Bergen County, because they don’t want huge trenches ruining their yard. Traditionally, sewer repairs involved digging large trenches so that sewer service contractors could access the pipe to fix the problem. This digging was admittedly damaging to property, at least temporarily, and homeowners had to fix their grass, gardens, and other landscaping after the job was finished. 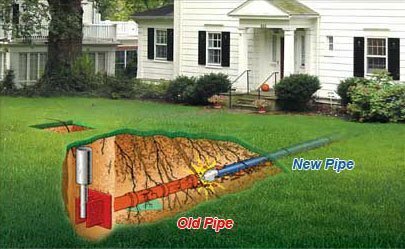 However, advances in sewer repair technology have create new techniques for “no dig” sewer repairs, which are totally noninvasive, and won’t ruin your yard and landscaping. Now that technology has developed things like fiber optic sewer inspection cameras, inflatable sewer pipe lining, and other innovations, sewer excavation in New Jersey is to a great extent a thing of the past. These new methods are known as “trenchless sewer repair.” Nowadays, digging is only necessary in a few select situations; most sewer repair is now noninvasive. To find out more about trenchless sewer repairs in New Jersey, call us today at A1 Sewer & Drain. 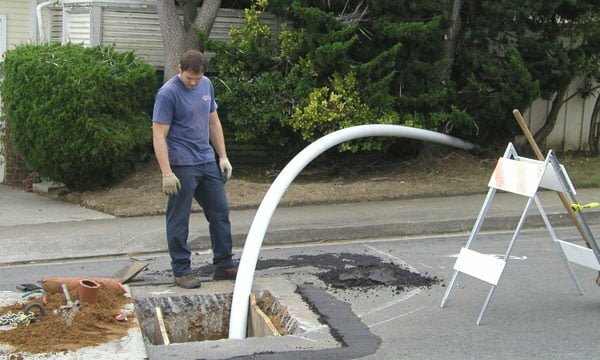 Trenchless sewer repair techniques were only developed in relatively recent years, but provide the option for no dig sewer repair service that is less intrusive for homeowners. It’s also much simpler for sewer repair contractors, who can easily access the sewer pipe without excavating it entirely. Trenchless sewer repairs begin with diagnostics. Contractors will inspect the sewer before beginning work, finding the location, source, and type of damage that needs to be repaired. Our sewer repair contractors use fiber optic sewer camera inspection systems from companies like CUES Inc., Insight Vision (Sewer Inspection Camera), and Envirosight, which allows us to see directly into the sewer line. We can see whether cracks, tree roots, unstable eroded soil, or other issues are causing the problem. This helps us determine whether we can use trenchless sewer repair techniques; in most situations, no dig sewer repairs are the best option for the homeowner. Sewer lining in NJ. This no-dig sewer repair method is used to patch holes and cracks that disrupt water flow in the sewer pipe. This creates a “pipe within a pipe,” lining the damaged section with a resin tube that hardens after it’s inserted. This patches the holes without digging any unsightly trenches. Although the lining narrows the width of the sewer pipe, it’s by a negligible amount. Pipe bursting in NJ. This trenchless sewer repair technique is used for severely cracked and damaged pipes that need to be replaced completely. A new section of pipe is pulled through the broken one, fracturing it outward to remove it entirely. 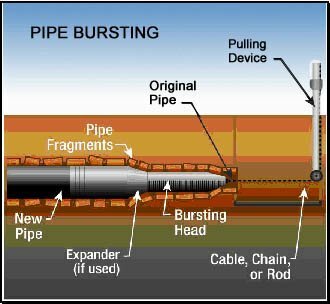 This is used when sewer lining wouldn’t be sufficient, due to the sheer amount of damaged to the collapsed sewer pipes. If you have a sewer problem in Bergen County NJ because your sewer pipes are cracked or broken, you don’t have to dig up your yard to get the problem taken care of. 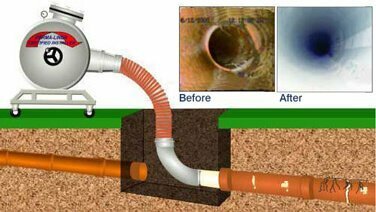 At A1 Sewer & Drain, we provide trenchless sewer repair in New Jersey for most residential sewer problems. To find out more, call us today at 201-65-0888.